If you’re applying for an FHA mortgage, up to 43% of your gross monthly income can go to debt, but only 31% of that can be for housing costs. 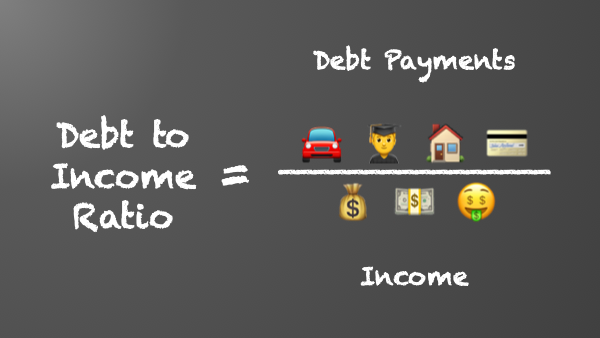 You can see how student loan debt and credit card debt can put the brakes on a new home. Home equity is still the most common way families generate and hold onto wealth. Not only is student loan debt an albatross around the cash flow of many young people (and even some approaching retirement), it can keep them from getting started on the road to financial wellbeing. It can keep them from attaining the goals that were probably the reason they acquired the student loans in the first place. Plenty of sites out there offer advice on how to accomplish these options. Almost anything I say would be redundant. 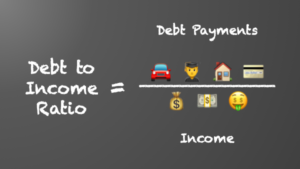 But I do know one way to buy a house with a high debt-to-income ratio: buy it with owner financing. We offer that service occasionally. But owner-financing from an investor comes at a price. We charge at least four percent above our cost of money. You may be able to find individuals who are willing to finance a house for less, if they are looking for retirement income or passive income. If so, always have your lawyer go over the paperwork before you commit and never, never take on a rent-to-own purchase. Rent-to-own agreements are not even legal in some states because of abuses by unscrupulous sellers. They are typically a way for landlords to get tenants to pay for repairs on properties. Very seldom do rent-to-own transactions result in a change of ownership. Decide if college is the right choice for you. It may or may not be. If it is, figure out a way to pay for it without hocking your future. I did it. I know of at least one other way to do it. Next time I’ll talk about that heretical first decision. « What Do We All Need?